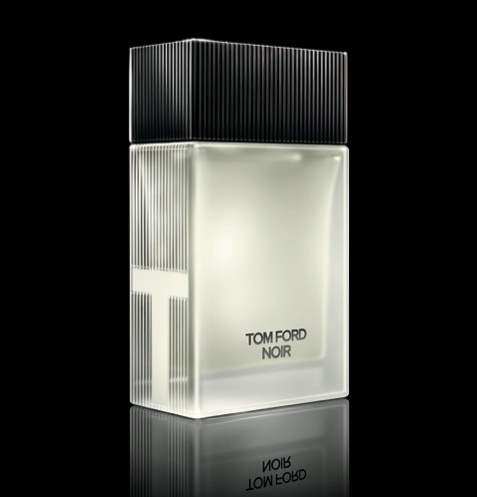 Last year Tom Ford released his third signature masculine fragrance under the very Tom Ford-esque moniker ‘Noir‘. This Eau de Parfum was one of 2012’s more impressive launches, so splendid it was in fact that it won a Candy (my annual awards) for Best Mainstream Masculine, beating out the likes of Viktor & Rolf’s Spicebomb and Guerlain’s Homme L’Eau Boisée. New for 2013 is the Noir Eau de Toilette, a lighter and fresher version of the Noir signature. Tom Ford describes it as being “inspired by a mysterious duality of elegance and sensuality” and as far as masculine fragrances go it definitely feels elegant enough to fulfill the smart, suit-clad aesthetic of the brand, albeit in a much more ‘dressed-down’ manner. Where Noir Eau de Parfum is a contemporary and masculine take on Guerlain’s flagship fragrance Shalimar, the Eau de Toilette is more akin to a ‘légère’ or ‘light’ version. To put it another way, the EDP is best worn with a super-smart suit (or trench coat and massive scarf) and the EDT is more suited for a clean white shirt and chinos – its the difference between day and night. Noir Eau de Toilette is recognisably ‘Noir’ right from the outset. The original’s signature opening accord of citrus and violet leaf is intact, however in this EDT version a bracing wind of mint and cardamom joins the foray to create a sparkling and entirely more relaxed atmosphere. The cool notes don’t last for long however, and before you know it Noir EDT warms up with accents of spicy rose, amber and patchouli. Things don’t reach the height of oriental luxury as seen in the EDP, but the spices flicker nicely in the heart, allowing for more than just a mere hint of stubble. Vanilla and iris are most prominent in the base, giving the impression of a sweet and delicate powder. There’s also a touch of something slightly sour but not quite animalic lurks in the background, providing depth and maintaining a link with the richness found in the original’s base notes. Noir, in this new Eau de Toilette concentration, succeeds in capturing the spirit of the Eau de Parfum in a lighter, more transparent presentation. At no point does it feel dumbed down or unnecessary, instead it’s a more casual interpretation that, as the rather accurate press release quite rightly states, is as “handsome as a bare chest beneath a white dress shirt”. 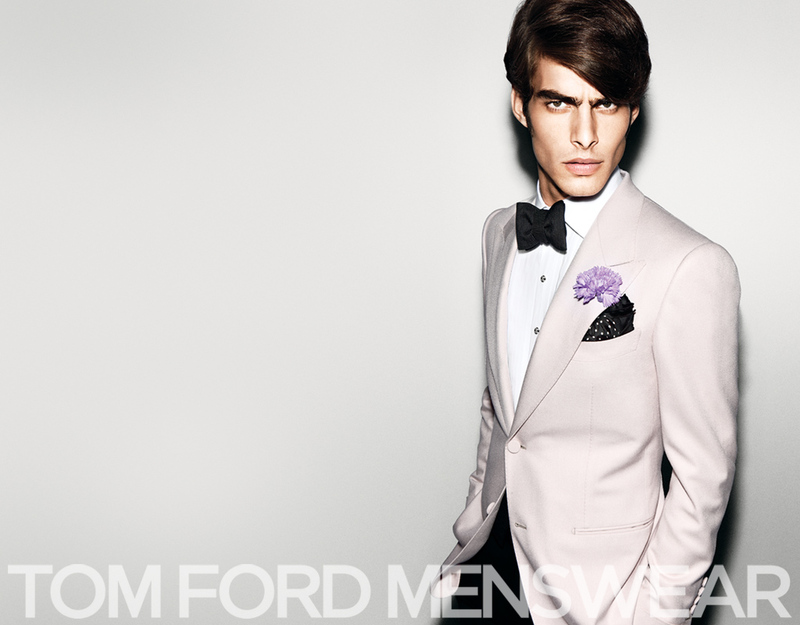 Seeing as Tom Ford doesn’t exactly do casual (has anyone seen the man in anything but a suit? ), one imagines the gentleman wearing Noir EDT to pair it with a lighter coloured and more paired down suit, perhaps with a few eccentric touches as seen in the first image above. Whatever one wears it with though, Noir EDT is a great addition to the Tom Ford Signature Collection, and whilst I personally feel I would opt for the EDP as a matter of preference, this version is great for those occasions when one wants to smell mighty fine without donning something quite so dramatic and heavy. Noir Eau de Toilette is available in 50ml (£50) and 100ml (£68) sizes. Sample, notes, image 2 and quotes via Tom Ford. Image 1 via monicapetroski.wordpress.com. Posted in Masculine, Oriental, Perfume Reviews, Tom Ford and tagged Noir, Noir Eau de Parfum, Noir Eau de Toilette, Perfume, Perfume Review, Tom Ford. Bookmark the permalink. EDP – not sure of the point of EDT for this release but interesting news. I guess it’s to maximise the potential of the ‘Noir’ brand. Still, at least it’s not a flanker, eh :-p and it is rather nicely done. I have grown to like ‘Noir’, though it didn’t strike me as anything much at first… perhaps because I wear Shalimar so often. Maybe it’s a distant relative of Habit Rouge too? I didn’t know that l’Eau Boisee was short listed… now that really is an excellent riff on a Guerlain classic (though, confusingly Vetiver not the perfume of which it is a distant flanker). I must be sure to keep my eyes more peeled for the Candies next time! Noir is a bit of a ‘grower’ isn’t it? I was impressed last year but perhaps not captivated enough to warrant a bottle. Revisiting it via the EDT however, has led me to decide that I so in fact need it in my collection. Do stay tuned for this year’s Candies! Sounds good, though the original sounds better. Could be worn for different occasions though, as you say. Is this the one Nigel likes or is that another one? It’s pretty versatile, for sure. I’ve been wearing it quite a lot. Nigel pretty much loves anything Tom Ford but Tom Ford for Men and Oud Wood are his faves. But Noir EDT does sound nice. I might just give it a try when I see it in store. I think you will like Noir, especially seeing as you enjoy Iris so much.